I’ve worked from home for nearly a decade. I enjoy it immensely; it saves me valuable time and money by eliminating a costly and lengthy commute into the city, it allows me to be home more with my children and it helps me tap into my creativity. But there have been times when, I admit, I have missed working in a traditional office. I miss gossiping next to a water cooler, celebrating co-workers’ birthdays and, of course, making a fool of myself at the office Christmas party. Perhaps this is why I became so attached to NBC’s “The Office.” For me it was more than just another 30-minute sitcom, a way to fill the coveted must-see TV Thursday night 8 p.m. time slot; it was my pseudo-work family. Pam, Jim, Meredith, Michael, Andy, Stanley, Oscar, Creed, Angela, Erin, Phyllis, Kevin, Toby, Darryl and Dwight—most especially Dwight—were my co-workers. Through marriage and divorce, for better and worse, in times of economic success and financial distress, even that shaky season after Michael left and ratings started to drop—I got my office fix from the folks at Dunder Mifflin. So now, as I prepare to visit Scranton one last time, I’m reflecting back on what “The Office” has taught me about organizational management, careers and life in general. Always Be Professional: Dunder Mifflin staff were often short on decorum, even in public. Wherever you are, whatever you’re doing, you are the face of your organization, so refrain from throwing parties in your hotel room when attending conventions, singing karaoke at Chili’s or stealing the captain’s hat on boozes cruises. On second thought, just avoid booze cruises all together. Communicate With Your Organization: How many Dunder Mifflin disasters started with paranoia caused by a simple lack of information? Recall, for example, the hijinks caused by confusion over branch closings. Be honest and up front with your staff; share up-to-date information as it becomes available. And under no circumstances should you spread rumors that a member of your staff has a tiny person inside controlling him. But Stop Talking When People Stop Listening: Meetings, meetings, meetings…Dunder Mifflin had meetings for every conflict, crisis, situation and occasion. Who could forget Michael Scott’s awkward conference room chat about women’s issues, Toby’s lengthy discourse on the Scranton Strangler, or Dwight’s dirt tutorial? Dunder Mifflin suffered from too much information, aka, TMI. If you call meetings unnecessarily, be warned, you could find your office supplies encased in a gelatin mold. 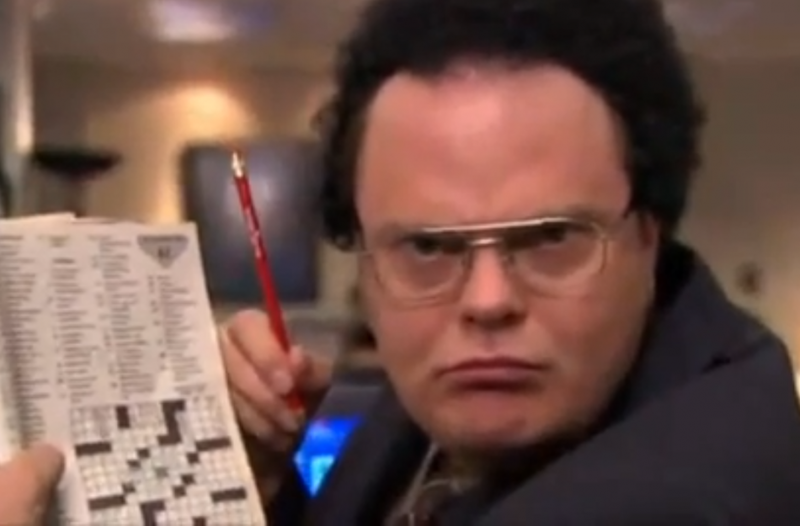 Most Importantly, Whatever You Do, Do It With Passion: Whether it was running a corporation or managing a beet farm, the employees of Dunder Mifflin brought passion to their work; this was particularly true of Salesman Dwight Schrute who, in a true Cinderella story, worked his way up from Assistant to the Regional Manager to Regional Manager. Do what you love, love what you do, and don’t be afraid to play a little air guitar when the mood strikes. So there it is, on paper, what “The Office” taught me. What lessons did Dunder Mifflin teach you? Kathy Deters is a senior writer and social media manager for St. Louis Sprout & About magazine and has more than 15 years of experience in government, communications and public relations. Kathy can be reached at Kathy_Deters@hotmail.com.